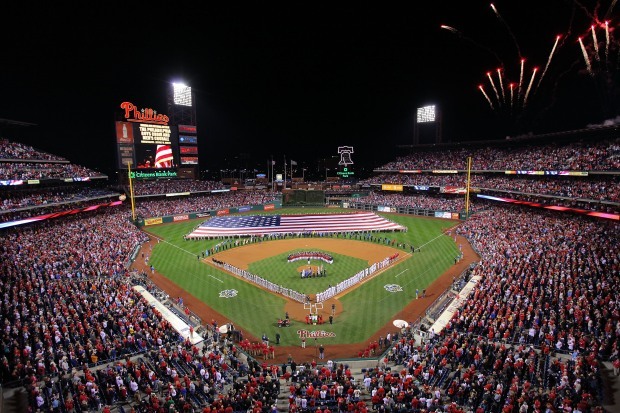 Did you see the signs Philly fans were holding during this weekend's games against the San Francisco Giants? They weren't very nice to say the least. 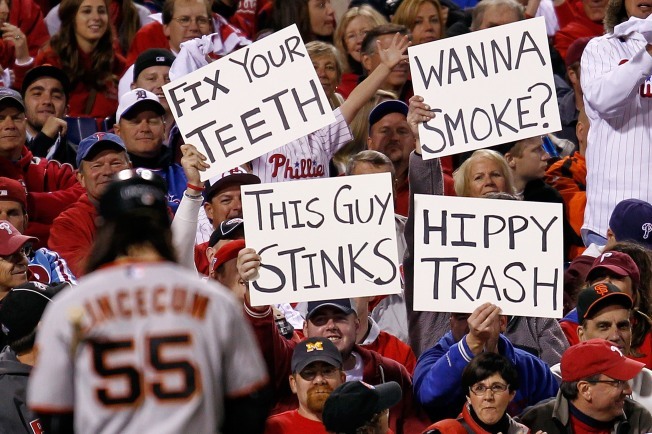 One particular group sitting in the good seats at Citizen Bank Park held part funny, part mean signs aimed at Giants-ace Tim Lincecum on Saturday. 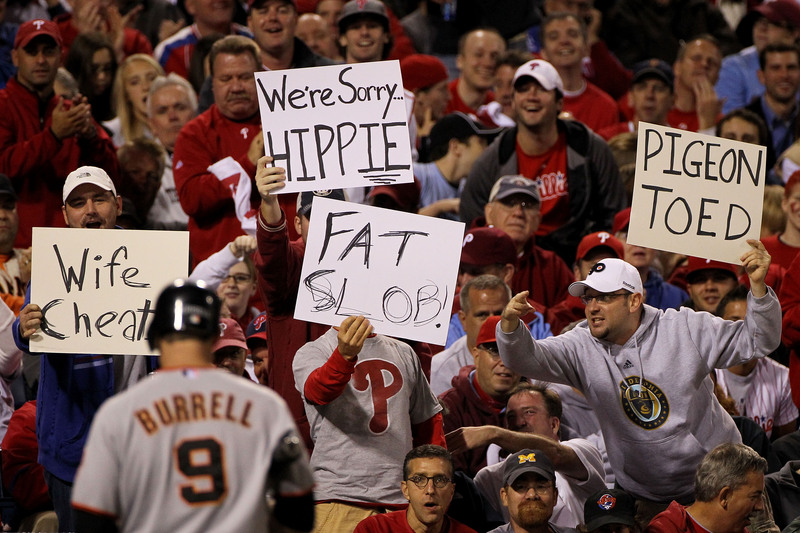 Different signs poked fun at Pat Burrell on Sunday night. Guess those stories about him getting caught with a little pot up in Washington made it to the Philadelphia papers. But to bring up his teeth? Come on! Three of the four sign holders are clearly smiling as they poked their fun. And in the end, we know Timmy got the last laugh as he is the winning pitcher of record in the 4-3 victory. Sunday night, the crowd turned on their former hometown favorite Burrell. They used the hippie line again along with making fun of the way he walks, his marriage and his weight. 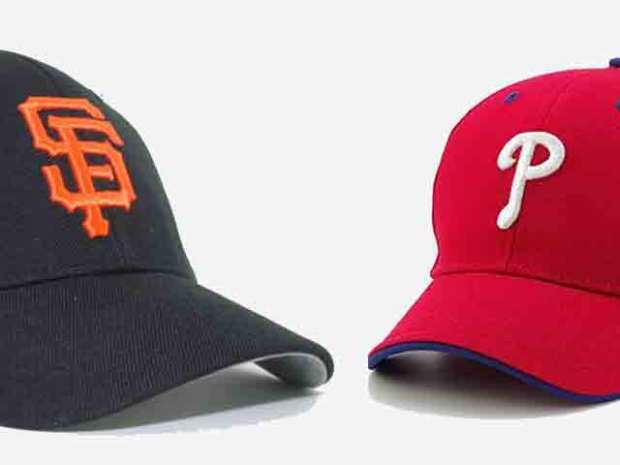 We'll have to see if Giants' fans return mean for mean. It isn't normally their style.